Peter Pan Seafoods is one of America’s best-known names in wild Alaskan Seafood products. 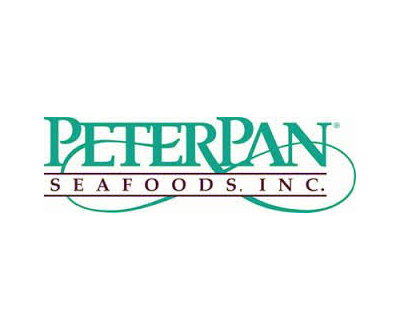 Throughout the food service industries and within the retail trades, Peter Pan has achieved a hard won reputation built on the quality and sales appeal of its frozen, canned and fresh seafood. For as long as fishermen have dipped nets into the sea, the oceans have yielded their bounty to the world. But not until recently has the world recognized the real scope and potential of that treasure and the responsibility involved in maintaining it. Through decades of experience, investment, planning, and commitment, they have harvested the promise of the sea, while acting as the ocean’s caretaker. Today, they continue that tradition, bringing that harvest home to your business, your family, to you. Peter Pan Seafoods stands today as one of the leading Alaskan seafood producers, working its way up from more unexpected beginnings in 1914. That year saw the introduction of a canned salmon brand, Double Q. It was wild Alaskan salmon taken by an antique fish trap method and “marketed” for the princely sum of 9 cents per can. From that point, Peter Pan’s Double Q brand canned salmon went on to become one of today’s retail market leaders in canned salmon. Perhaps it was because the “Double Q” stood for quality and quantity, two ideas which Peter Pan has never let go.